Jinshanling Great Wall is one of the best preserved parts of the Great Wall with many original features. 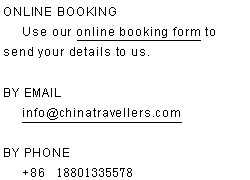 It is located about 150 km from downtown Beijing. The Jinshanling Great Wall was initially built from 1368 to 1389 in the Ming Dynasty (1368-1644), and in 1567 and 1570 rebuilding of the Wall was mainly directed by General Qi Jiguang (1528-1588). The Jinshanling Great Wall has not been repaired since 1570 and it has retained its original look since its construction several hundred years ago. 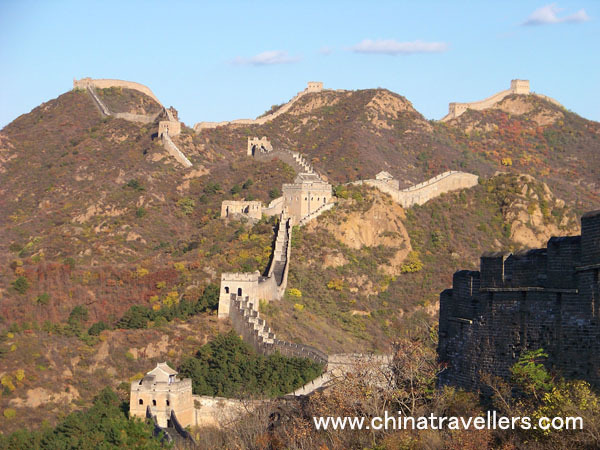 It is a remote and relatively isolated section of the Great Wall. The total length of this section is about eleven kilometers (6.8 miles), and the scenic spot of the Jinshanling Great Wall has an area of 32 square kilometers. The wall is about seven to eight meters high and five to six meters wide, and is made of brick and stone. The Jinshanling Great Wall has an elevation of 700 meters. 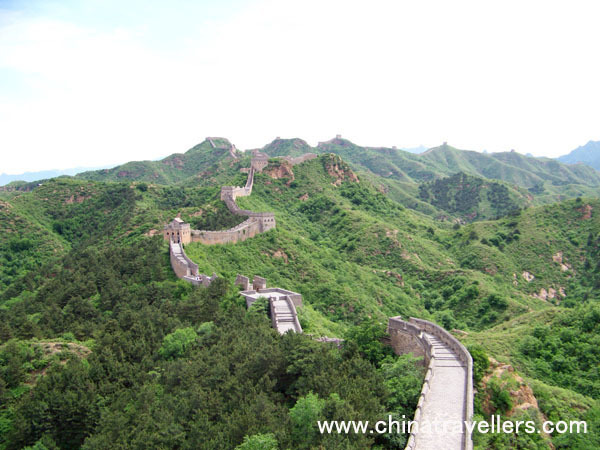 Jinshanling Great Wall is second only to the Badaling Great Wall in terms of preservation. However, it is far less crowded and great to explore, and boasts the greatest number of watch and beacon towers anywhere along the wall. At 700m, it provides some spectacular photo opportunities. There are more than 100 watch towers along the Jinshanling Great Wall. Built stably and elegantly, different towers have different structures and appearances. Rows of 3-meter-high Barrier Walls were built leading to the enemy towers to protect these towers. Some of the towers are storerooms as well. They were used to store food, hay and weapons. The scenery at Jinshanling has a range of seasonal beauty. As there are relatively few tourists at Jinshanling Great Wall, it is a good place to explore on foot. If you are looking for breathtaking views with a relatively peaceful walk, then the Jinshanling Great Wall is very suitable for you. It is the section that foreign visitors like the most.